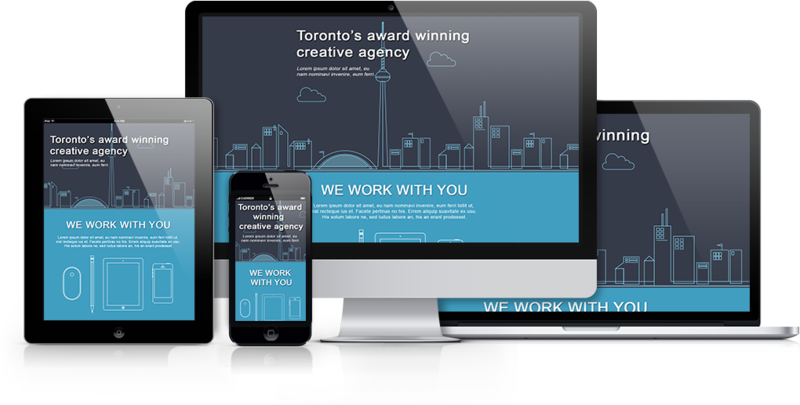 Be aware that many Free PSD Templates found online are DESIGNS ONLY, and are not structured or organized for web exports. Read more about getting the output to look 100% like the PSD. If you convert your .AI document to a .PSD using a script, it is likely that your document will have a lot of layers named Clip, Group or Path. Learn how to convert illustrator objects in your PSD to ensure you document renders as expected. Layer Effects will enhance your Output with additional rendering features in your output. You can add layer effects to any Photoshop layer element and Export Kit will render the effect directly in your output environment. Read more about Layer Effects. Layer Tags offer additional support with your Output to make your design responsive, multi-page and dynamic in size. 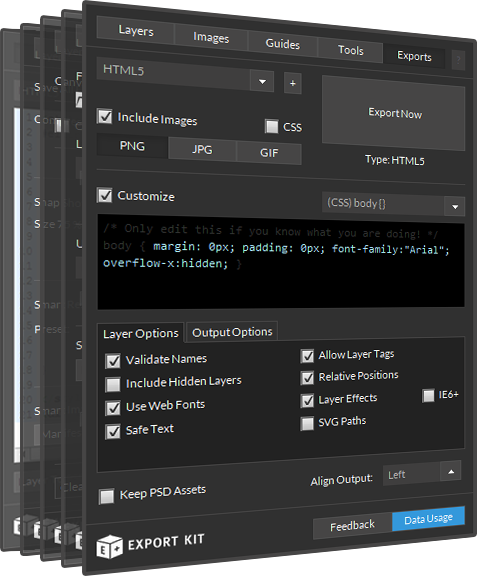 Layer Tags are custom names you can apply to layers in your PSD. 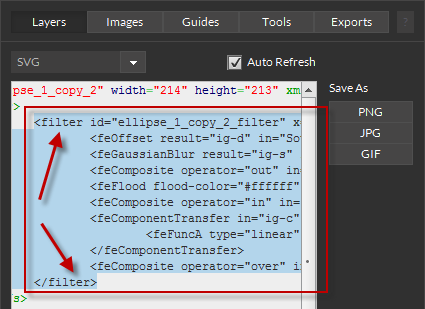 Read more about Layer Tags. Export Kit is an advanced plugin for Adobe Creative Cloud. We recommend you read our tutorials on Using Export Kit Suite to learn how Export Kit works and how to use it with your projects. Read more about Using Export Kit Suite. Considering you are new to Export Kit, watch our YouTube web series to learn what to do “Before You Export Your PSD”. 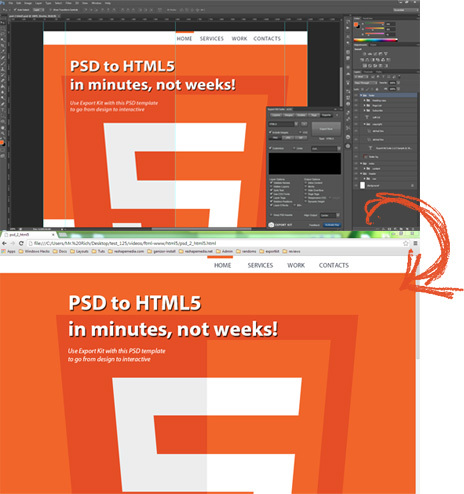 Learn all you need to know before converting your PSD output. These videos will teach you about the standard support that comes with Export Kit and how layers, effects and folders are handled.